A roundup of the week’s tech news including AI car death, tech money, and slipping on bananas. It happened. The vote is done. You already know about it, you’ve already read about it. Let’s move on. Technology companies need to do more to prevent child labour being used in gold mining. A new study from Stop Child Labour shows that two companies, Fairphone and Microsoft are actively involved in initiatives in which the eradication of child labour from gold mining is included. None of the companies surveyed could guarantee where all their gold comes from and whether child labour is used. There are an estimated 1 million children currently working in goldmines around the world, much of which ends up in mobile phones and other electronic devices. The Federal Aviation Administration this week published new rules around flying drones and what kind of commercial uses are allowed. 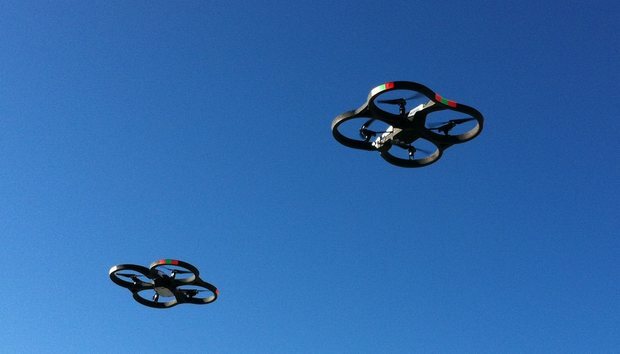 The rules – designed for commercial-use drones weighing between .25kg and 25kg – still required line of sight flying, can fly at twilight (with lighting), at speeds of up to 100 miles per hour at a max altitude of 400ft. Delivery of packages of up to 25kg is allowed, but without beyond line of sight, the likes of Amazon and Google are unlikely to be too happy. Europe has its first Unicorn valued at more than $10 billion, aka the slightly rarer Decacorn. Tencent’s investment in Supercell means the Clash of Clans maker is now valued at $10.2 billion. A recent report from GP Bullhound found there are now 47 European Unicorns, with 18 coming from the UK. Red Hat has acquired 3scale, Google’s Fiber division has bought fellow internet provider Webpass, Twitter has snapped up computer vision startup Magic Pony, Accenture now owns Maglan, Microsoft has snaffled Wand Labs, Open Text has taken over HP Inc's customer management software business, Francisco Partners and Elliott Management have purchased Dell’s software business (including Quest and SonicWALL), Verizon has got its hands on car telematics provider Telogis, Pinterest has acqui-hired Tote, Comcast & Alarm.com have bought and divided smarthome startup IControl between them, and Cavium has splashed out for QLogic. ChangeTip, the Bitcoin startup Pinterest part-bought earlier this year, is reportedly struggle to sell its remaining assets. As Yahoo! is due to be acquired itself in the near future, Gizmodo has gone through all 53 acquisitions the company has made under Marissa Mayer's stewardship. It makes pretty grim reading: More than 40 have been shut down, and just two continue as they were: Flickr and Polyvore. The Top500 list of global supercomputers was released this month, and China strengthened its grip in the space. The new 93 petaflop Sunway TaihuLight, housed at the National Supercomputing Centre in Wuxi, replaced the reigning Tianhe-2 at the top of the list. China now has 167 computers in the top 500, up from less than 30 a decade ago, and has overtaken the US’s 165 for the first time. - The NSA wants to hack the IoT, including your pacemaker. - Scottish intelligence agencies are also conducting mass surveillance. - The FBI won’t cut off internet access to ISIS-controlled areas because of the effect it would have on civilians. Like smartwatches? Like Fallout? Why not combine the two? At this year’s E3 Bethesda announced a new pip boy that is in fact a smart watch that syncs with your phone. Where the last edition was merely a phone holder, this version can take calls, show messages and plays audio files. The $350 device is bulky, but is one hell of a fashion statement. Google Glass may have flunked, but there’s plenty of new companies trying to make AR glasses look stylish. Both Laforge and Shenzhen Dlodlo Technologies have revealed augmented eyewear that look like normal glasses, rather than something designed to draw abuse and ridicule. Moto has revealed what kind of premium you can expect to pay for a modular phone. It’s a lot. The cheapest Moto Mods add-ons start at $70, but can reach up to $300 if you want a projector attached to your mobile. Anyone working in the autonomous vehicle industry will agree that it’s only a matter of time until a driverless car hurts someone. It’s essentially a statistical inevitability on a long enough timeline. On average, around 3.2 trillion miles are driven every year, and there is one fatality per hundred million miles driven in the US. Google has driven some 1.6 million miles autonomously, while Tesla’s cars are out there racking up the miles – 47 million so far - while driving on Autopilot. We’re halfway there people. It wouldn’t be surprising to me if the first people to land on Mars have Blue Origin or SpaceX logos on their suits instead of NASA. And once these private companies leave the rest of us here on Terra Firma and colonise new planets with their most valuable customers, they’ll need their own currency. Online financial services company Swissquote has redesigned some of today’s most famous bank notes to feature some of the solar system’s most recognizable technocrati. Mark Zuckerberg graces the $100 bill, while Richard Branson is emblazoned on the £20 note. 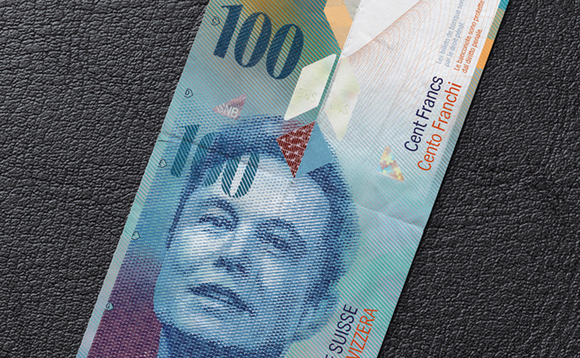 Elon Musk on the 100 Swiss Franc note has an air of prescience about it, don’t you think? You don’t unfriend the dead, according to a new morbid study. According to Dying Matters, 40% of British adults wouldn’t unfriend someone they know on Facebook even after that person has died. 8% of the 2,000 people surveyed agreed death was a good time to unfriend someone, while half thought it was a bad medium to break news about death or terminal illnesses. In other Facebook news, the social network has announced it will start training employees to avoid political bias. Although the company denies claims that it has been suppressing conservative headlines in its trending news section, there’s nothing like covering your own skin just in case. Wherever they end up, Boston Dynamics know how to make good videos. Alphabet’s robotic division this week released footage from the SpotMini. This sleek, four-legged bot comes with an articulated arm, and is seen helping with the washing up and bringing its human overlords refreshing drinks. It also slips over on a banana skin beautifully.